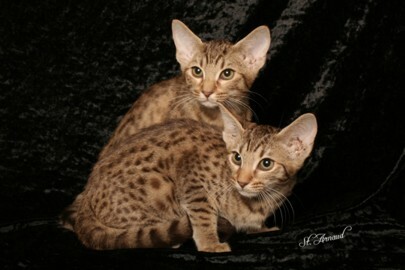 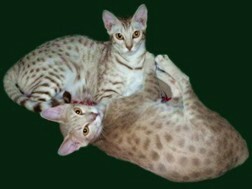 These cats are found in our pedigrees. 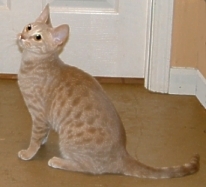 This page has lots of pictures - it does take a while to load on dialup. 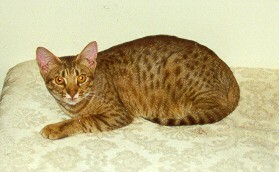 Now retired and living with his friend Julie. 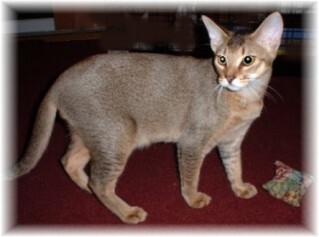 CH Sarsenstone SilverSpring of Catiators by Auxarcs Val Vermiel of Sarsenstone x Auxarcs Tantivy of Teknokatz Now retired and living with her friends Arnold and Sydney. 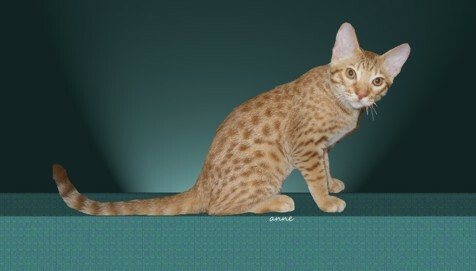 Teknokatz Toomai of Auxarcs by GC Synareo Son of Butch x Rabeau's Georgie Girl Now retired and living with her friend Elaina. 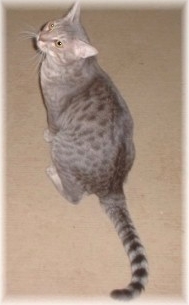 Now retired and living with her friends Larry and Jan.
CH Synareo Crystal Blue Persuasion by GC Synareo Mountain Spinner x CH Auxarcs Lavender Blue Dilly Dilly, DM, dam of GC, RW Synareo Big Man in Town of Auxarcs Now retired and living with her friend, Jeudi. 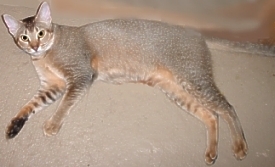 Catiators P-38 Lightning by GC, RW Auxarcs Night Shade of Catiators x Catiators F-80 Shooting Star Now retired and living with her friend, Amy. 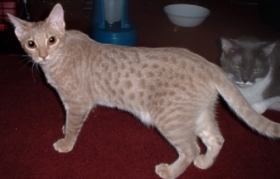 Catiators C-130 Herky Bird by GC, RW Auxarcs Night Shade of Catiators x CH Synareo Crystal Blue Persuasion Now retired and living with her friend, Chris. 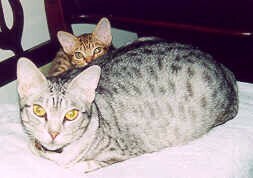 CH Catiators F-4 Wildcat by GC, RW Galax Santa Claus of Auxarcs x CH Sarsenstone Silver Spring Now retired and living with his friend Elwayne. 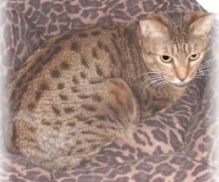 Low Country B-17 Belle of Catiators by CH Auxarcs Bisbee x Clan Hanna Paisley Now retired and living with her friends Rachel and Mike. 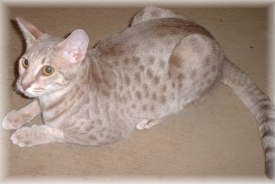 Low Country Blu Angel of Catiators by CH Auxarcs Bisbee x Clan Hanna Paisley Now retired and living with her friends Rachel and Mike. 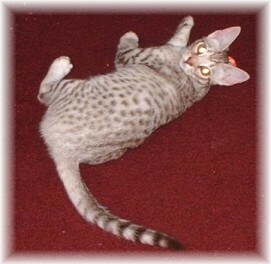 Catiators A-10 Thunderbolt by GC, RW Auxarcs Night Shade of Catiators x Catiators F-80 Shooting Star Now retired and living with her friend, Amy. 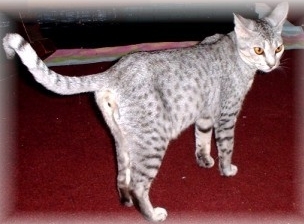 Catiators Amelia Earhart by CH Catiators F-4 Wildcat x Teknokatz Toomai of Auxarcs Now retired and living with her friends Rachel and Mike. 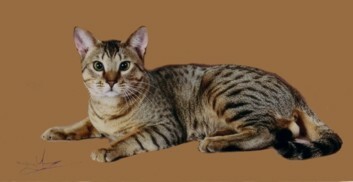 Cheracat Mach 1 of Catiators by Auxarcs Jungle Magik of Cheracat x Auxarcs Walks with Amethyst of Cheracat Now retired and living with her friend Robin. 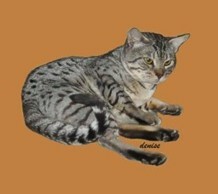 This photo is copyrighted by Animal Images. 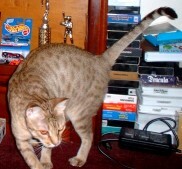 Catiators Charles Lindbergh by CH Catiators F-4 Wildcat x Teknokatz Toomai of Auxarcs Now retired and living with his friends Marie. 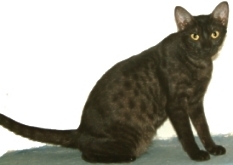 CH Catiators SR-71 Blackbird by CH Catiators F-4 Wildcat x CH Synareo Crystal Blue Persuasion Now retired and living with his friend Andria. 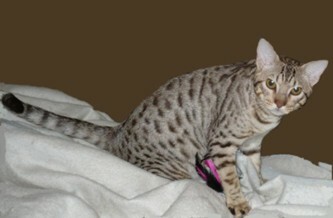 Catiators Chasca of Neuspots by CH Catiators SR-71 Blackbird x Milwaukee's Finest of Catiators Now retired and living with her friend Christina. 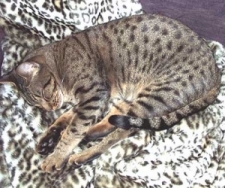 Wht Fang Spot FltZone of Catiators by GC Auxarcs Ozzie of WhtFang Spot x CH Myledots Minnie of WhtFang Spot Now retired and living with her friend Marge. 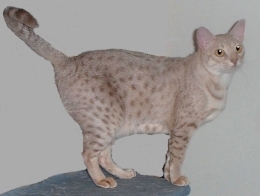 Neuspots Clear4Takeoff of Catiators by CH Dapajn Dunne-Za x Spotoronto Anisha of Neuspots Now retired and living with her friends Anne & Chuck. 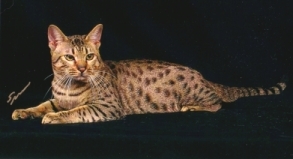 Catiators F-94 Starfire by Catiators Charles Lindbergh x Auxarcs Flite of Fancy of Catiators Now retired and living with his friends Chuck and Jurinne. 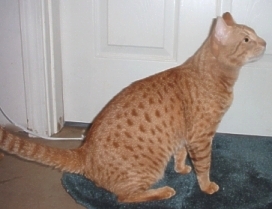 CH Catiators Red Baron by CH Catiators F-4 Wildcat x Teknokatz Toomai of Auxarcs Now retired and living with his friend Megan. 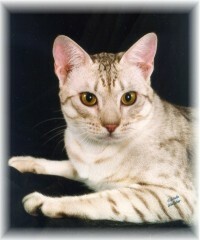 Auxarcs Rest of the Story by GC, RW Ociville Mountain Magic of Auxarcs x Auxarcs Mariah Now retired and living with her friend Phyllis. 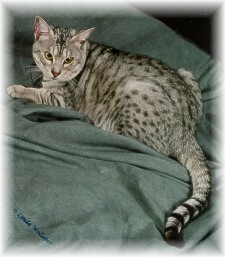 CH Catiators C-121 Constellation by Catiators Charles Lindbergh x Auxarcs Flite of Fancy of Catiators Now retired and living with her friends Huguette and Thomas. 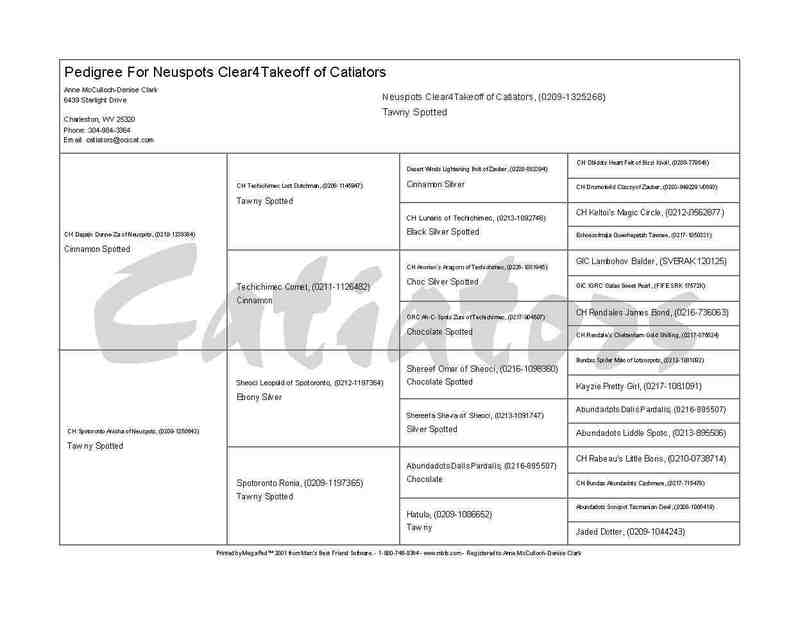 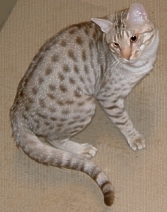 CH Neuspots SkystheLimit of Catiators by CH Dapajn Dunne-Za of Neuspots x Fairdinkum Argentina of Neuspots. 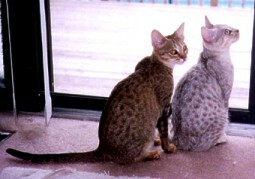 Now living with his friend Elaine. 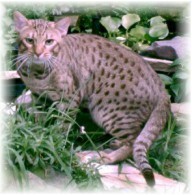 CH Neuspots O-40 Raven of Catiators by CH SR-71 Blackbird x OciOci's Solar Corona Now retired and living with his friend Wendy. 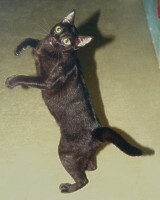 Flash! 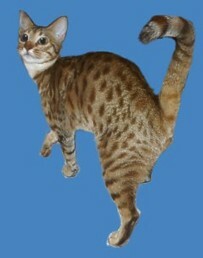 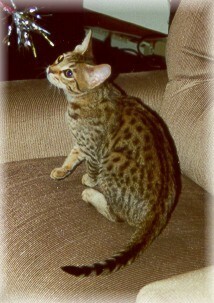 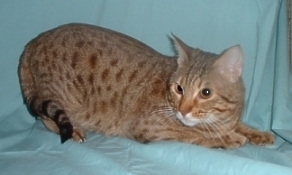 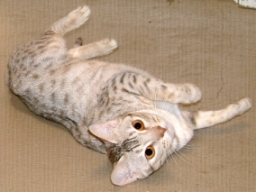 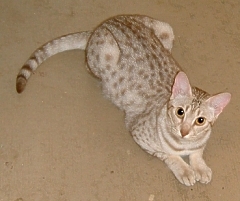 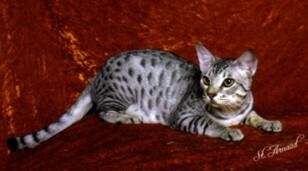 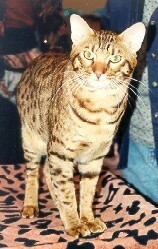 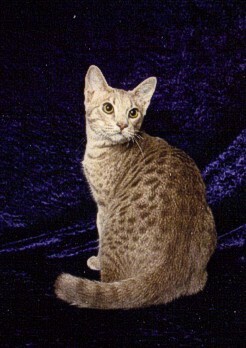 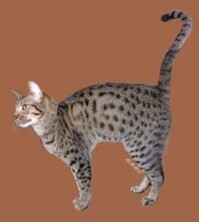 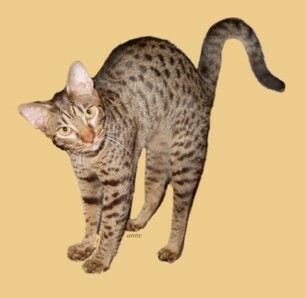 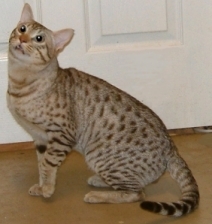 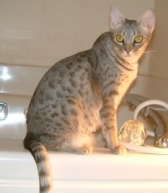 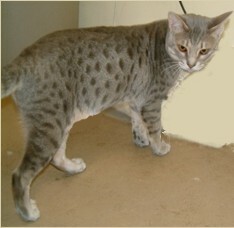 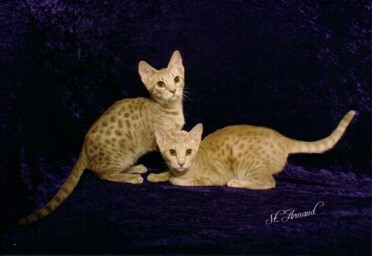 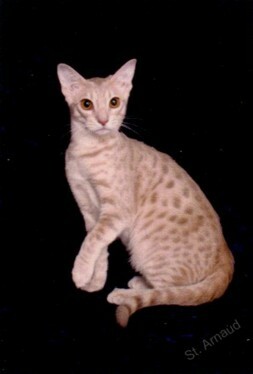 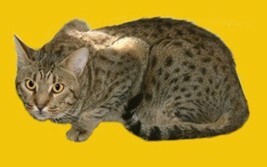 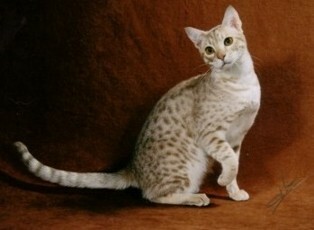 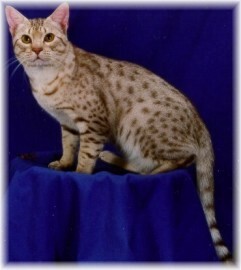 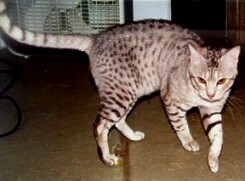 Raven is CFA's 2nd best ebony silver Ocicat for the 2003 show season. 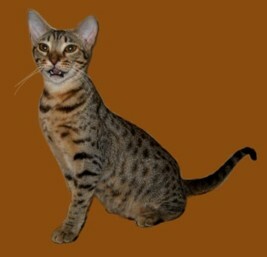 Ocipaws Ghostrider of Catiators by Catiators F-94 Starfire x Morai Lemuria of Ocipaws Now retired and living with his friend Deb. 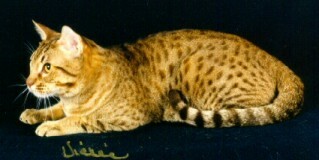 GEC Escoburg Generaal Zazoe by EC Galax Jngle King x Annabel uut 't Ieseldonk. 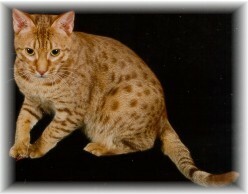 CH OciOci's Willem-Alexander by GEC BC Katz HoloHolo of Milwaukee's x OciOci's Solar Corona Now retired and living with his friends Jon and Anne. 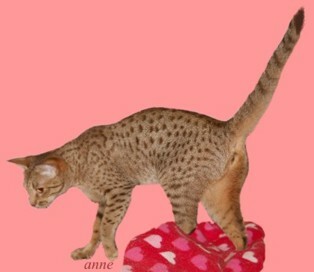 Auxarcs FliteofFancy of Catiators by GC, RW Synareo Big Man in Town of Auxarcs x Arons Crimson and Clover. 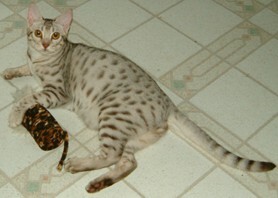 Now living with her friend Heather. 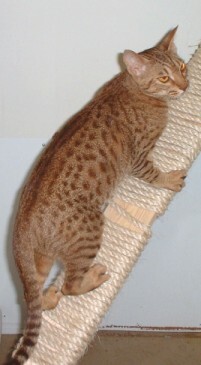 Catiators Spruce Goose by GC CAbyss Blue Spruce x Catiators Chasca of Neuspots. 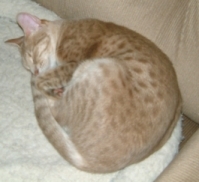 Now living with his friend Laura. 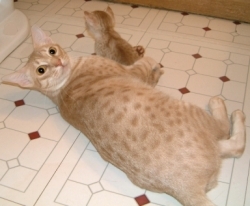 Catiators P-3 Orion by Catiators F-94 Starfire x OciOci's Solar Corona Now retired and living with her friend Jan.
CH Auxarcs Doin' A Flyby of Catiators by GC, RW Synareo Big Man in Town of Auxarcs x Auxarcs Shambala Now retired to her friend Heather. 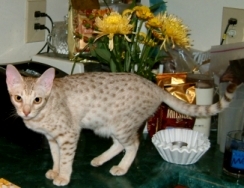 CH Catiators CH-46 Phrog by CH Catiators The Red Baron x Auxarcs Flite of Fancy of Catiators Now retired and living with her friend Janet. 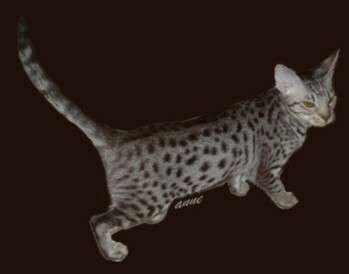 Dreamsong Radar Blip of Catiators by Ridgemount Othello x IW, QGC Chisholm Trail's Lilith of Dreamsong Now retired and living with her friend Elizabeth. 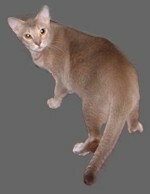 Dreamsong Wing Walker of Catiators by CH Ridgemount Passacaglia x CH Sammykins Chanson of Dreamsong. 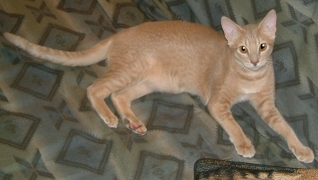 Now living with his friend A.J. 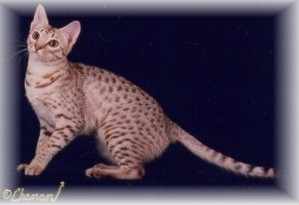 Ocipaws AircrftCarrier of Catiators by CH Catiators SR-71 Blackbird x CH Tigrina's Coo of Ocipaws. 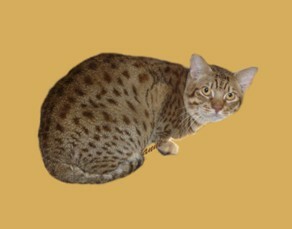 Catiators Pilot2Bombardier by CH Catiators Bombs Away x Sunstone Aviatrix of Catiators is now retired to her friend Lisa. 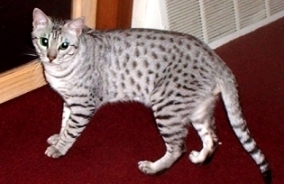 Catiators Wild Blue Yonder by CH Blackwater Sluggo of Catiators x Catiators YO-51 Dragon Now retired and living with his friend Anita. 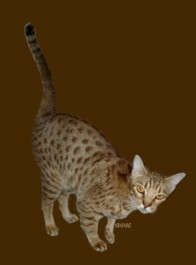 GC Calumet Cats Propwash of Catiators by Kazar Onyx Corky of Calumet Cats x CH Calumet Cats Auberguine is now retired to his friend Wendy. 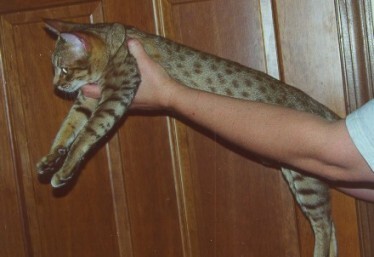 Catiators Mile High by Dreamsong Wing Walker of Catiators x Catiators V-22 Osprey Now retired and living with her friend Pam. 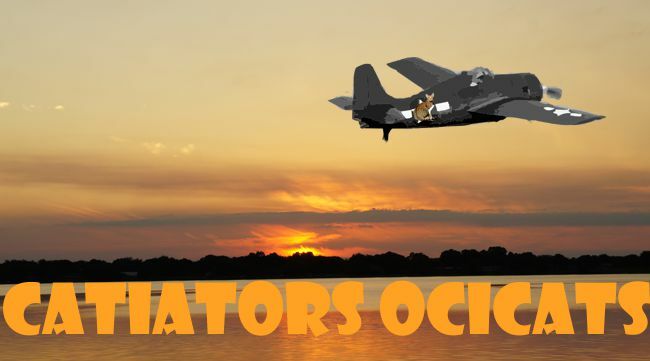 Catiators V-22 Osprey by Catiators Spruce Goose x Auxarcs Doin' A Flyby of Catiators Now retired and living with her friend Pam. 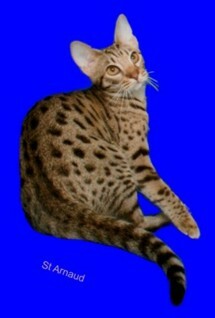 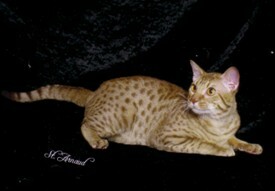 Sunstone Aviatrix of Catiators by CH Sunstone Avalanche x Sunstone Shazam! 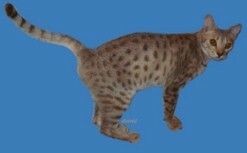 Tesserae AirVenture of Catiators by GC, RW Tesserae Shadowboxer x Catiators Viola of Tesserae. 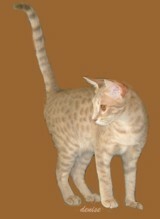 Catiators Fairey Spearfish of Jucha by CH Catiators Jackpot Air Classic x Blackwater Fairey Fox of Catiators. 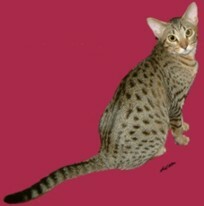 Now living with Ann Jucha of Jucha Ocicats.